The Palenque Mayan ruins are exploding with interesting facts and once you start researching you will understand why so many people come from every part of the world to visit and explore. 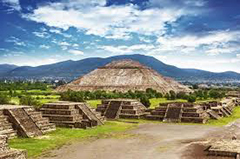 The Mayan Pyramids of Central America – the ruins, the jungle, the world famous Mayan calendar, the People of the Corn and People of the Stars! Ahh! The mysterious world of Maya!